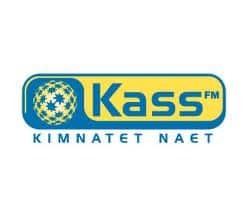 Kass FM Online from Kenya.Listen over 70 Kenya internet FM Radio stations Live Online.Enjoy Live Stream of kass fm news 24 by 7 online . This Radio broadcasts in Kalenjin and is leading radio station in the entire Rift Valley according to all the research firms reaching out to about 4.5 million listeners daily.station broadcasts in Nairobi and its environs.Station listeners wherever they are can interact making the world a ‘‘village’’. This has brought together listeners and promoted the sharing of ideas with people abroad. kass fm presenters are very famous personalities in Kenya . Note: None of the Stations in this website are broadcasted by Us. We Just provide you Stream URL and help you in listening all fm stations.